I didn’t think it was still possible for the trade of a baseball player to make me sad, but there it is. I know the team is going through a rebuild, but I was really hoping he’d be a lifetime Phillie. Hopefully, he puts up enough numbers over the rest of career to ensure his path to Cooperstown and maybe even gets one more World Series ring before he’s done. More later sometime later this week. The fact is I don’t understand why so many people fall for the parallel shell game perpetuated by Topps and all the other major manufacturers. I’m sure that it works to the extent it does because collectors love the notion that they own something that’s incredibly rare, and incredibly small serial numbers provide concrete proof of rarity. However, when you step back, seriously consider what’s really going on, and do some simple arithmetic, many of these “rare” cards aren’t as rare as the manufacturers would like you to believe. Let’s take another look at that Luzinski card. The one I own is actually a gold parallel. If you combine the print runs of the regular insert with all the print runs, you still have only 33 cards. That strikes me as an impressively low figure — certainly nothing to scoff at in terms of rarity. However, there are two other Luzinski cards in that particular insert set. They use the same photo, apply the autograph sticker in the same spot and also bear pieces of a bat supposedly used by Luzinski in a MLB event. 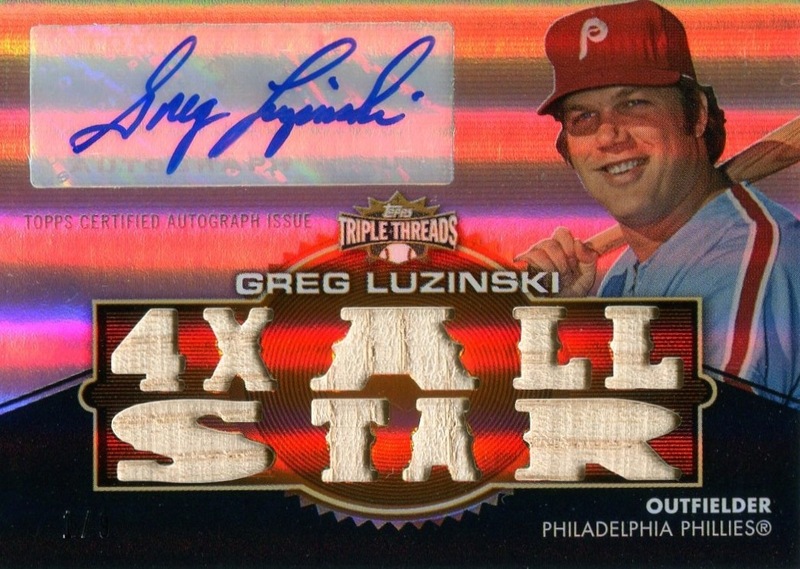 The only other notable differences are the text on the back of the cards and the bat shards on cards #TTAR-162 & #TTAR-163 instead respectively spell “Philly Favorite” and “The Bull.” Combine the three cards and all their respective print runs, and you get a total of 99 Luzinski 2012 Topps Triple Threads Autograph Relics. Now, even by current standards — as opposed to those from the late ’90s — that’s still fairly rare. However, it’s certainly not rare enough to justify the cost Topps charged for a pack 0f 2012 Topps Triple Threads. Hence, the need for the parallel shell game. To me, the worst part about it is that I see dealers and other collectors absolutely falling for it. Currently, one individual is asking $59.99 for a Sapphire parallel (serial numbered to 3) of #TTAR-162. Given that the last few versions of the card on eBay have sold in the $10-$20 range, regardless of its stated print run, I suspect it won’t sell for anywhere near that much. 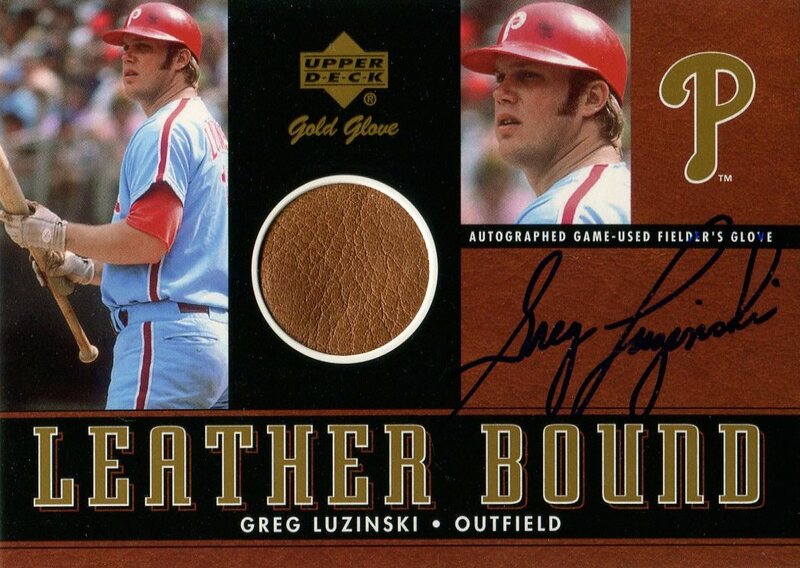 I will, however, concede that outside of his 2001 Upper Deck Gold Glove Leather Bound Autographed card it is Luzinski’s only autographed memorabilia card printed in anything even marginally resembling collector-friendly quantities. Still, given recent selling data, $60.00 is ridiculously overpriced. The problem is that the same cannot be said for so many other cards bearing serial numbers whose sole purpose is to mask the true print run. 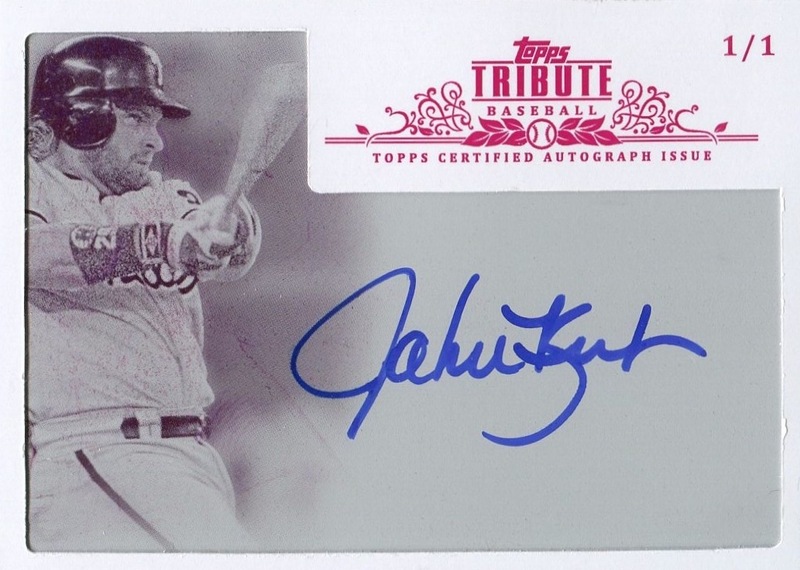 I recently acquired the John Kruk 2013 Topps Tribute Autographs Framed Printing Plates Cyan card. This was significant for me on two counts: it’s the first “1/1” Kruk card in my collection, and it’s also the first Kruk printing plate. However, is “1/1” really a correct way to refer to the card? There are three other printing plates, the regular insert set, and seven different parallels for the card those plates were used to create. Adding them all up gives you a total of 240. Again, that’s still an nice, low number by current standards, but from that perspective this “1/1” Kruk card doesn’t feel quite as unique as it once did. Furthermore, unlike the Luzinski’s 2012 Topps Triple Threads card, there are a slew of other similar Kruk autograph cards out there. If you are a completist such as myself, you can more easily and cheaply acquire over a couple dozen different Kruk autograph cards. When viewed through such a lens, acquiring a Kruk 2013 Topps Tribute Autograph card doesn’t carry the same urgency or importance as obtaining a Luzinski Triple Threads card. To be sure, there are some legitimately really rare cards out there, and the parallel shell game tends to obscure them. I actually own one of the five 2009 Topps Unique Triple Threat Autograph Relics cards featuring Ryan Howard, Jimmy Rollins, and Raúl Ibañez. Topps did not produce any parallels or printing plates; thus, there literally are just five of any of these cards in existence. (I’ll let you guess as to how many other autographed relic cards featuring this trio of players were produced.) To me, this card is far more unique and rare than my “1/1” Kruk autographed printing plate — or any other printing plate for that matter. Then there’s the case of the 2005 Donruss Classics Classic Singles Curt Schilling card, #CS-15. This is a slightly more interesting example because the card exists in so many different varieties: plain, relic, autograph, both relic and autograph, dual relic, and parallels of each. However, after examining the print runs for each of the variations, you discover that Donruss only issued seven Schilling cards bearing an autograph sticker. Thanks to the various memorabilia combinations (or lack thereof) and parallels Donruss employed, each of those seven bears a “1/1” serial number, but only two of those seven bear both bat and jersey relics. One can actually make the argument that by creating so many specialized “1/1” cards, Donruss inadvertently drew attention away from just how rare the autographed versions of those cards themselves actually were. It seems that true “1/1” cards — cards which neither exist in parallel form nor have the printing plates issued as well — are actually much rarer than any of us realizes. The only cards that consistently seem to honestly bear such a serial number are cut autograph cards of deceased players and managers. 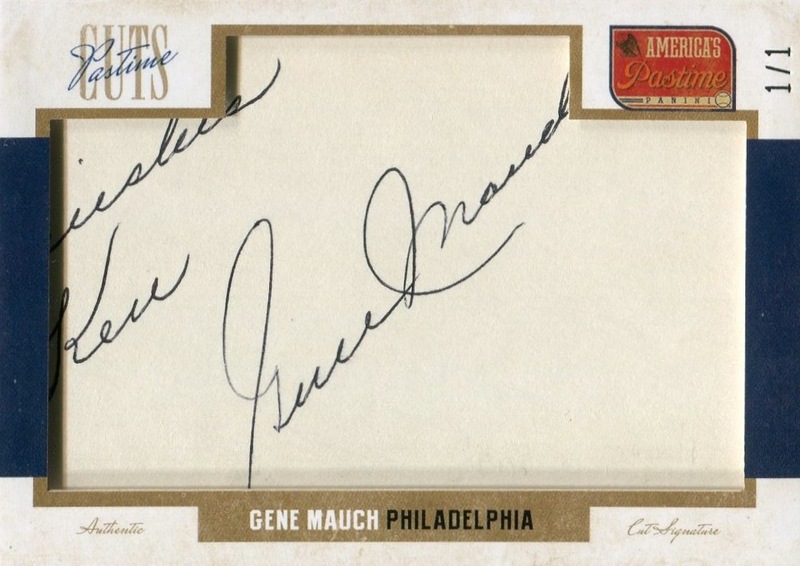 I’m fortunate enough to own a small handful: most notably a few of the cards from 2010 Topps Sterling Certifed Cut Signatures — an insert set that will certainly contain the only fully licensed certified autograph card for many baseball figures — as well as the Gene Mauch card from 2013 Panini America’s Pastime Pastime Cuts. (It’s incredibly likely that should I ever find someone selling the Ethan Allen card from that particular insert set I will seriously consider busting my budget in order to obtain it.) 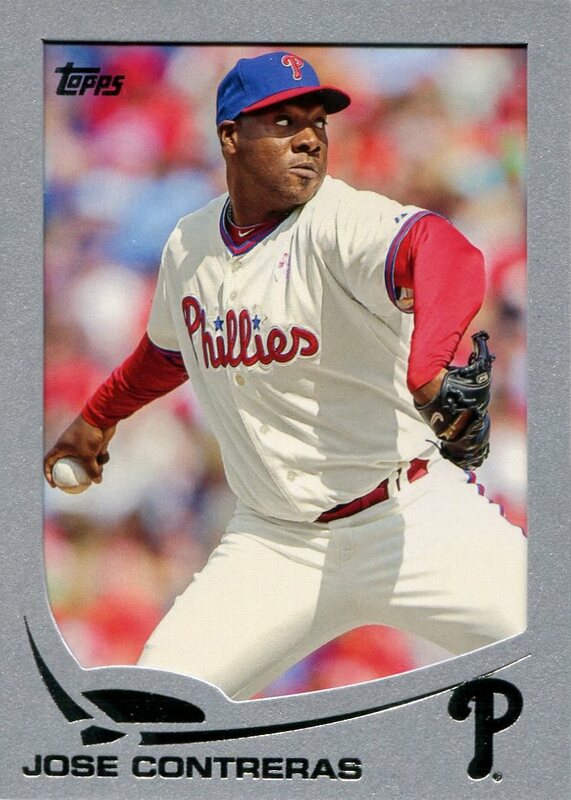 I know that parallels are here to stay, but I do wish that the hobby as a whole wouldn’t exhibit such willful ignorance as to how they’re being used to both mask true print runs and cheapen the meaning of a “1/1” serial-numbered card. 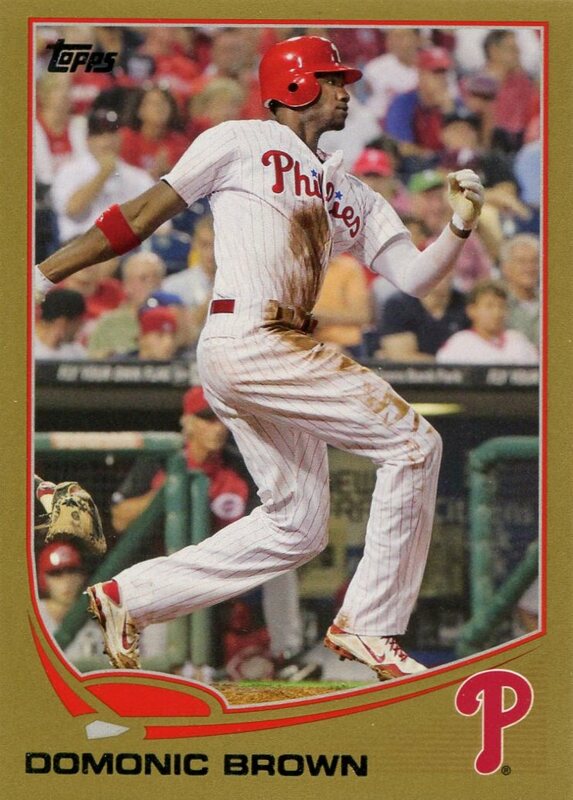 Writing about the various Phillies Uno cards yesterday was easy. It’s a game that nearly everyone is familiar with, so I didn’t feel the need to explain how to play the game. 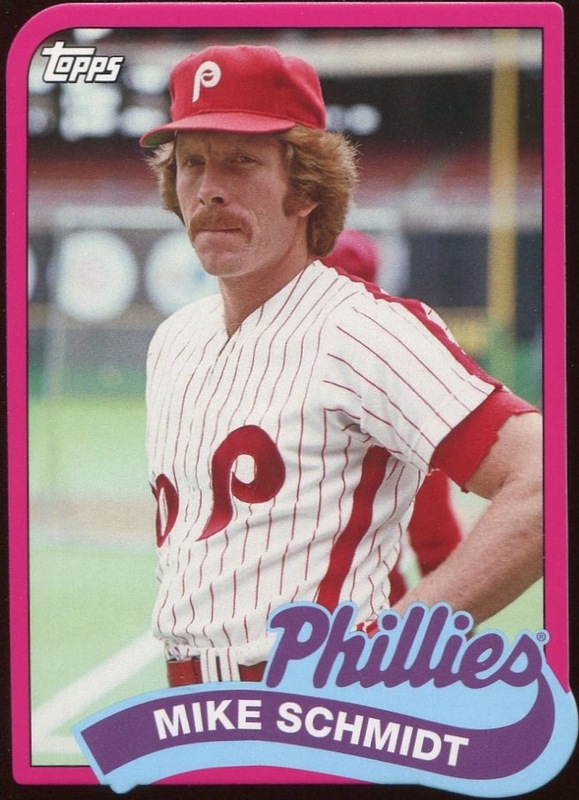 Furthermore, I had complete sets for the two different Phillies versions, so I could easily reference and explain the purpose of the specialty “Acquisition” card. Unfortunately, I own just the Phillies cards for the remainder of the oddball game cards I’ll feature this week. I don’t know anything about the merits of the games themselves, but I’ll share whatever information I can. Today’s oddball game cards come from Snap TV Games and were distributed in 2007 as part of the MLB Trade Up DVD/board game. Like so many of the other oddball game cards in my collection, I only discovered this particular set when running through my many eBay searches, and when I did find the cards it was a few years after the game originally hit toy store shelves. They’re not listed in the Beckett online database nor were they listed in SCD’s Standard Catalog of Baseball Cards. 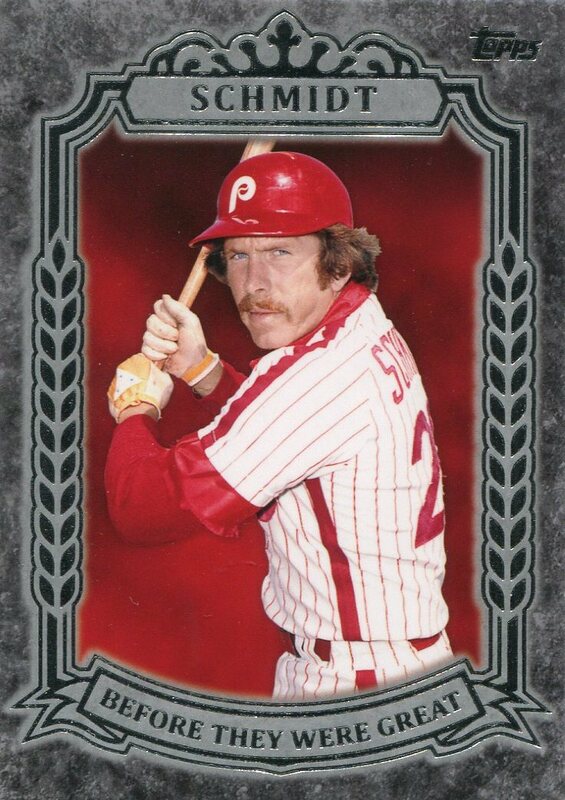 However, I do believe that I have all the Phillies from the set listed in the current version of the Phillies Baseball Card Database. 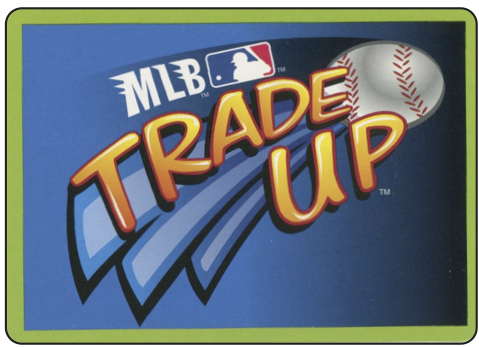 Like the Uno cards I wrote about yesterday, the MLB Trade Up cards are fully licensed by both the MLBPA and MLB. However, they are standard-sized, unlike the Uno cards, which were just 23⁄16” x 3⅞” — a point I accidentally neglected to mention in the Uno post. 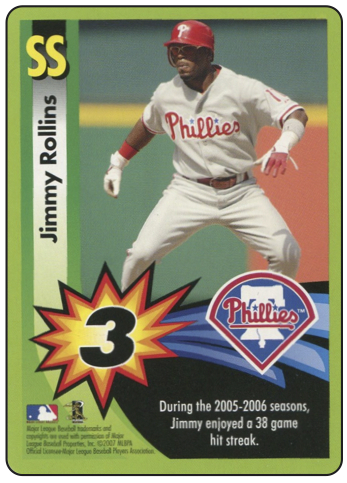 With either 52 0r 60 cards in the overall set — it’s hard to tell based on Board Game Geek’s description of the game’s contents — the Phillies are quite well represented with the inclusion of Chase Utley, Jimmy Rollins, & Ryan Howard. Of the three, the most fascinating of the cards is certainly Utley’s. You just don’t see very many baseball cards of players in midair while transitioning into a head-first slide. Even more interestingly, though he’s wearing a home uniform, based on what we can see of the field he’s clearly not at Citizen’s Bank Park, nor is it a spring training photo. Instead, based on the writing on the blurry fence in the background it looks like this photo was almost certainly taken during the 2006 MLB All Stars tour of Japan. 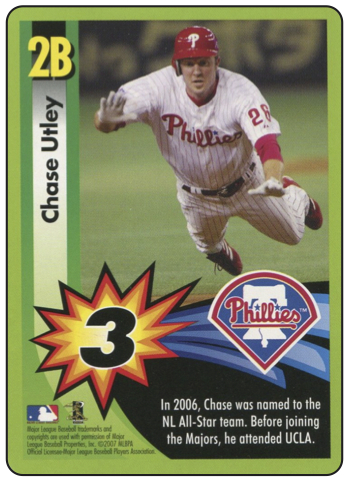 Assuming that is the case, and I don’t see any reason why it’s not, that makes the photo the coolest on any Chase Utley card thus far. Now that I have a complete team set, all of the base Phillies inserts (not including memorabilia and autograph versions), and a few representative samples of the parallels in hand, I’m finally ready to write about this set. Unfortunately, I’m tackling this review about as eagerly as I actually awaited the arrival of the yearly Topps flagship product in recent years. This lack of enthusiasm results predominantly from my feeling like Topps just doesn’t put anything beyond a perfunctory effort into its primary brand anymore. A lot of other collectors have already mentioned that the design of the set is rather bland and a little too reminiscent of last year’s set, and I am inclined to agree. However, I think this has become the primary feature of the flagship set — the fact is that Topps is now clearly heavily invested the idea that this set should be able to accommodate as many different colors/types of parallels as possible. Thus, blandness is essential. Once again, as with last year, counting the printing plates, you have 17 parallels of the base set. 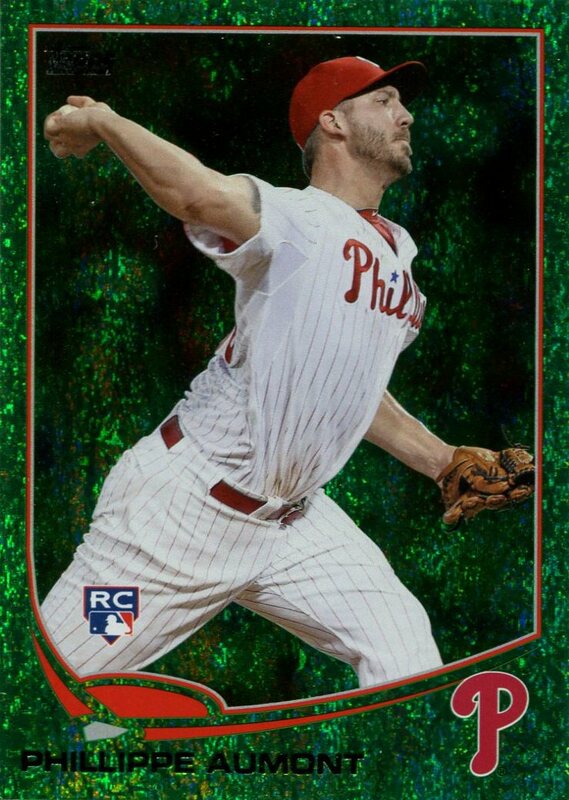 However, it needs to be noted that previously Topps has included parallels not initially produced in Series One into Series Two and the Update Series and then issued the necessary Series One parallels retroactively (the 2011 Topps Hope Diamond Anniversary parallel immediately comes to mind). When you consider that Topps has also sold 1/1 blank-backed parallels exclusively through it’s Topps Vault eBay account and the hobby factory-issued set usually contains its own orange-bordered parallel as well, it becomes a certainty that the final number of parallels will certainly go up and will easily be a new record for parallels in a Topps set. Blech. This year’s two new entries, yellow and a clear acetate, only serve to increase my irritation with parallel cards. Although I don’t have any of the yellow cards yet in my Phillies collection, I own a couple in my other collection thanks to my buying packs in order assemble a complete Series 1 set. Thus, I can confidently state that Topps has proven to everyone that the 1991 Fleer set was no fluke — yellow has no business being used as the border to a baseball card. 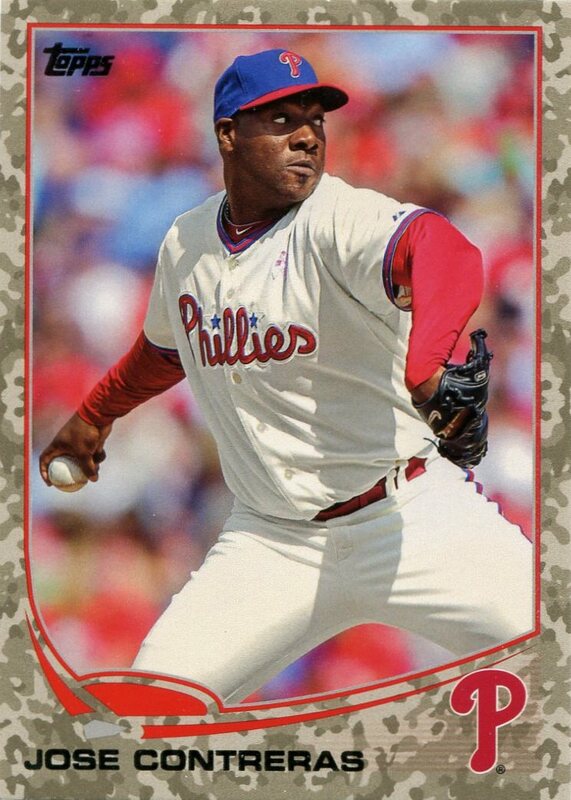 As for the clear parallels, I thought that the overwhelming shrug of indifferene the hobby gave to Fleer’s attempt at acetate-based card sets in the late ’90s was also sufficient to kill that particular idea. Shortening the print run to only 10 doesn’t make it any more attractive whatsoever. I don’t know why Topps is feeling the need to resurrect Fleer’s bad ideas from the ’90s, but it needs to stop before someone decides that Fleer was onto something with its 1995 design. 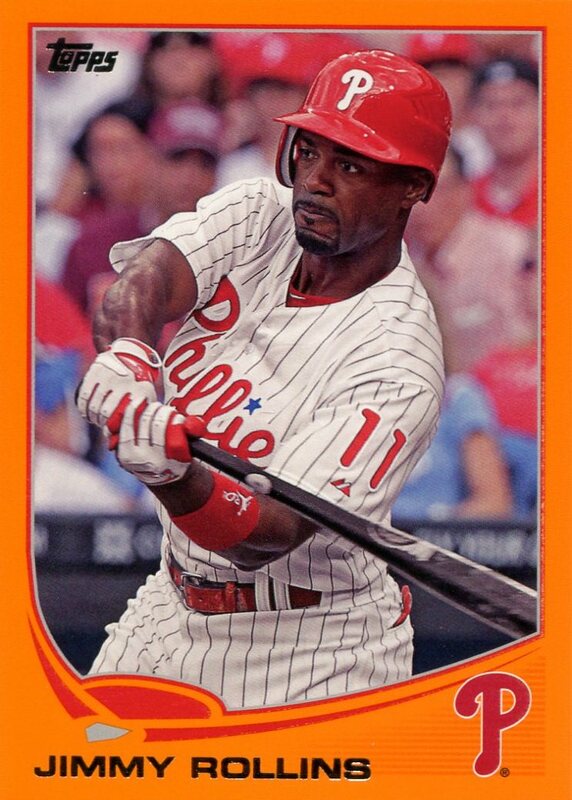 While the parallels just irritated me, I harbor pure disdain towards the two Phillies sparkle variations in Series 1. 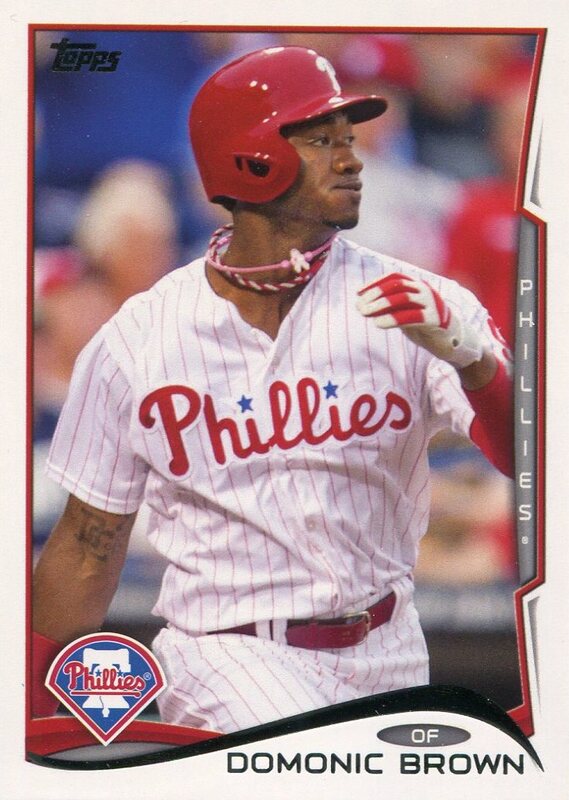 I didn’t like them the first time when Topps first tried them three years ago — especially since Topps royally screwed the pooch by using a photo on Domonic Brown’s card that had many collectors incorrectly thinking there was a sparkle variation. Well, this time around Brown actually has one, as does Cole Hamels. Although I don’t plan on acquiring either of them, I have been carefully checking the cards I get in packs to see if one does turn up. What I hate most about the sparkle variation is how carefully you have to look in order to determine whether you have the regular or variation. I’d much rather have different photo variations any day — I actually love them, even when they are extremely short printed (well, I love all of them except for that damn Kendrick card). As for the inserts, the team’s continued downward spiral means that the number of Phillies inserts is down again for another consecutive year. 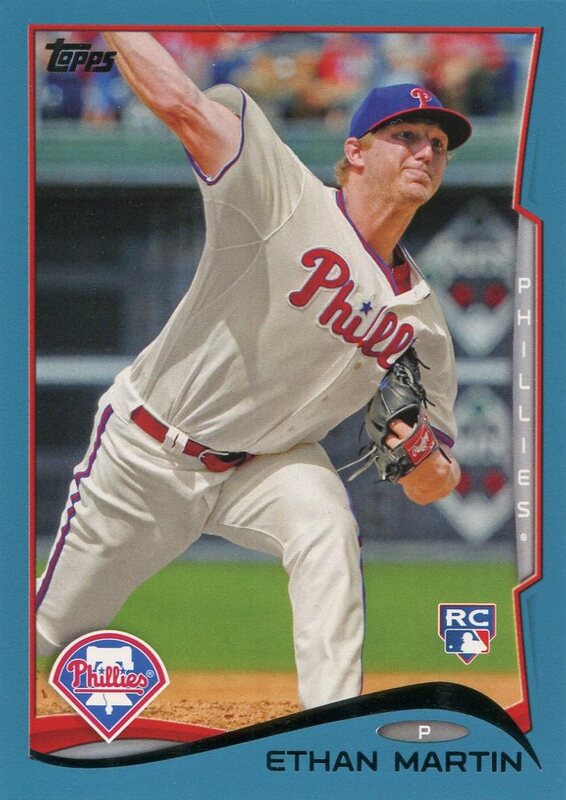 I’m not a huge fan of Topps’s mini insert sets, but I enjoy seeing current Phillies in older Topps designs, so I’ve found them otherwise enjoyable. This year’s twist on the mini inserts — a die-cut, colored-border take on the 1989 Topps set — strikes me as overdone and removes what joy I got out of the minis. 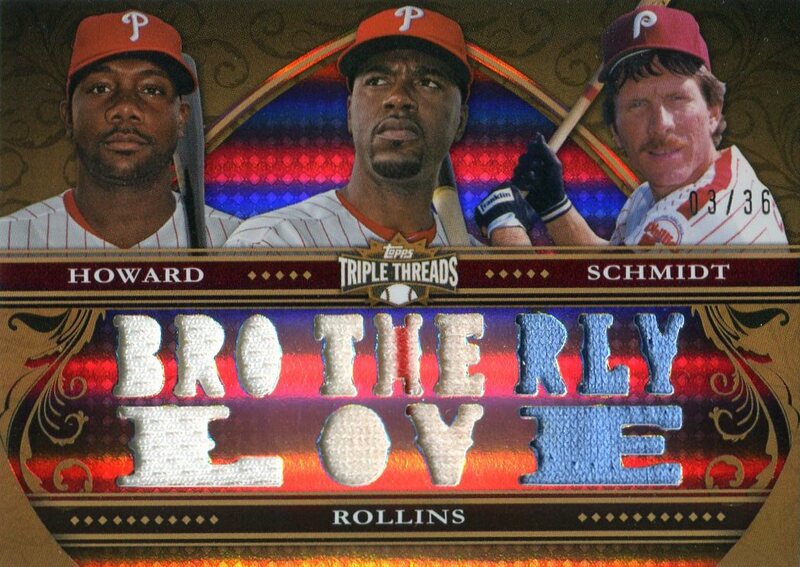 The fact that the only Phillie in this set, so far, is Mike Schmidt, only serves to compound the disappointment. 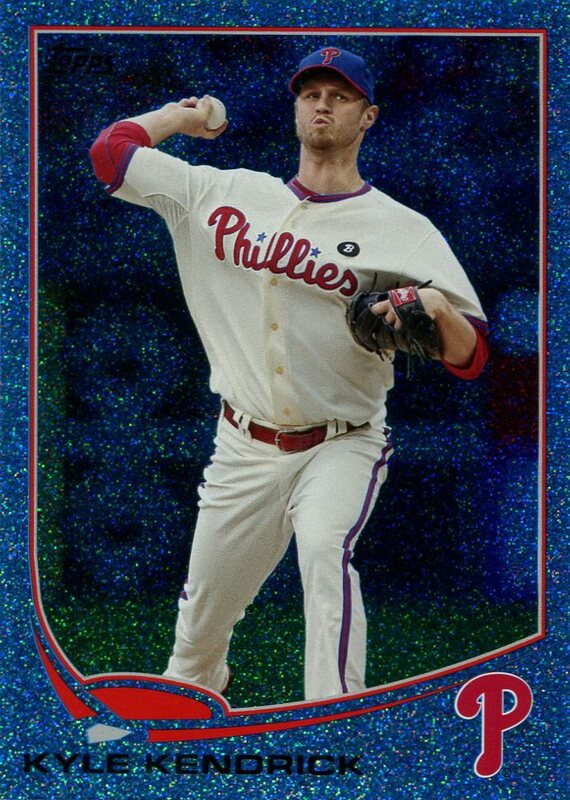 However, I will give credit to Topps for the color choice on the border — it works nicely with this particular Schmidt photo. The updated take on the Super Veteran subset from 1983 Topps helped to offset my disappointment in the 1989 Mini Die-Cuts. 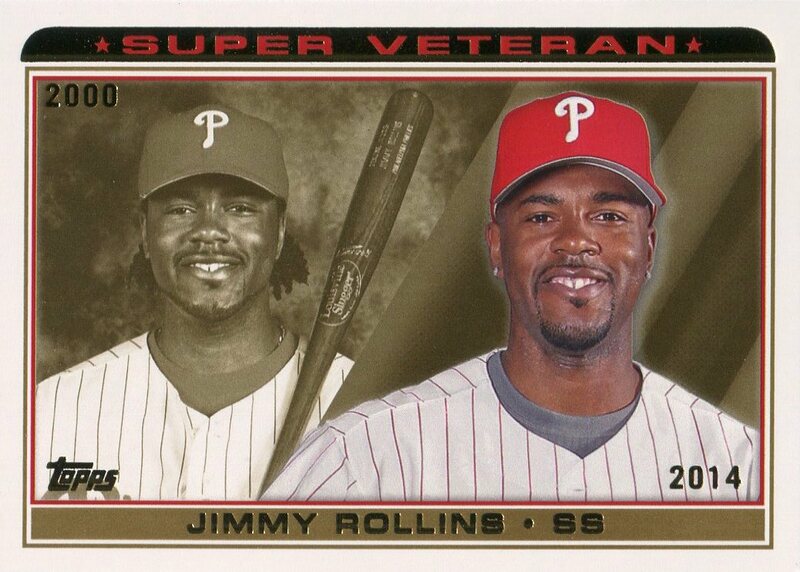 When I first saw the Rollins card, I initially felt that it was too modern an update — I really loved the original version of Super Veteran cards and thought that Topps made a small mistake in not being more faithful to them in last year’s Archives set. However, upon further examination and comparison to the ’83 cards, the new version grew on me quite a bit. In fact, it proves that nostalgia for older sets doesn’t necessarily require that we have to replicate them perfectly to create a proper homage. All the primary elements are still there — on the front, a much younger monochromatic photo alongside a current color photo, and on the back, an identical listing of career achievements. 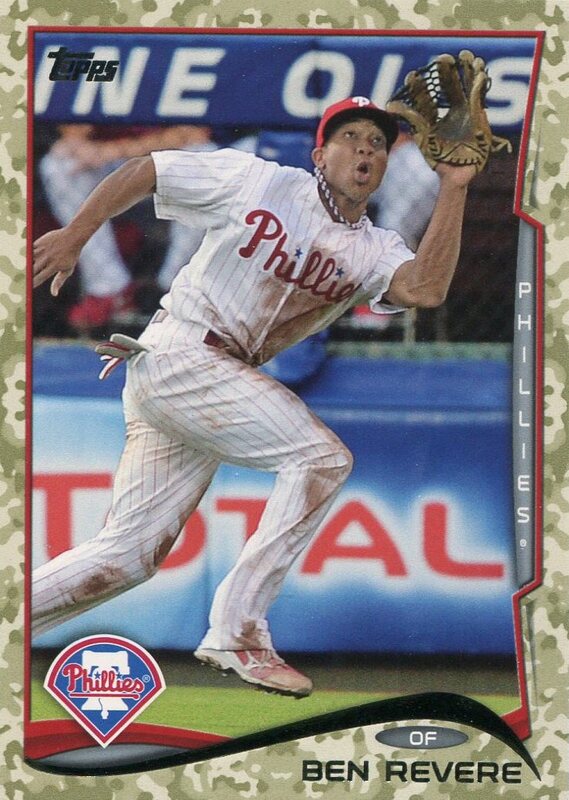 I’m hoping we see a couple more Phillies Super Veterans insert cards when Series Two comes out in a few months. The other two non-memorabilia original inserts, Ryan Howard’s Upper Class and Mike Schmidt’s Before They Were Great, were rather run-of-the-mill and nothing special. Actually, the Before They Were Great set looks and feels rather similar to last year’s Topps The Elite and Topps The Greats insert sets — thus demonstrating once again that Topps really is putting minimal effort into this set and its inserts. However, there is one final insert set of note, however, and that’s the 75th Anniversary Buybacks, celebrating Topps’ 75th year as a company — not to be confused with their 60 anniversary of producing baseball cards, which they celebrated a few years ago. The 75th Anniversary Buybacks are much like previous buyback sets, only this time with an ’60-’70s era Topps logo foil-stamped onto the fronts. I have nothing against such inserts, per se, but I do wish that Topps would, at a minimum, actually provide a checklist of all the cards included. 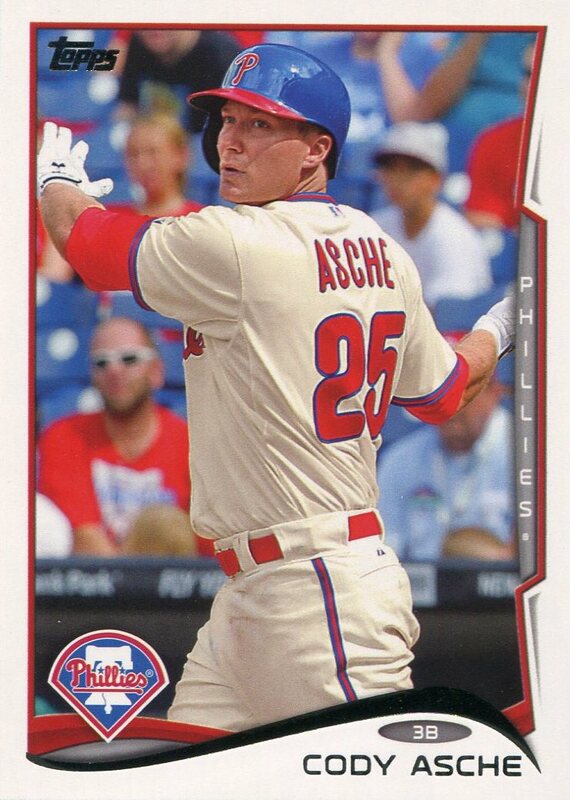 At this time, there’s no such list available, but I have taken the time to incorporate into the database all the Phillies buybacks I’ve seen on eBay. In fact, they should do this for all their variation cards as well — far too often collectors need to rely on postings on sites such as The Cardboard Connection to get all the necessary information. There really is no good reason for Topps to not be more forthcoming with this information. In the end, there are really only two things that this set truly has going for it. One, it’s the flagship set; the largest set issued by Topps and the one with 60+ years of history behind it. The other is that for all practical purposes it’s probably the best value for your money as a collector, and that’s even when factoring in the amount of money set builders inevitably waste on packs because of the inordinate number of parallel cards they’ll receive. (All due apologies to Topps Opening Day, which is cheaper, but it’s really nothing more than a derivative of this set.) If it wasn’t for these two facts I’d be hard-pressed to work out any real excitement for this set. I feel that’s only fair though — based on the final results, Topps can’t seem to work up much enthusiasm for this set either. 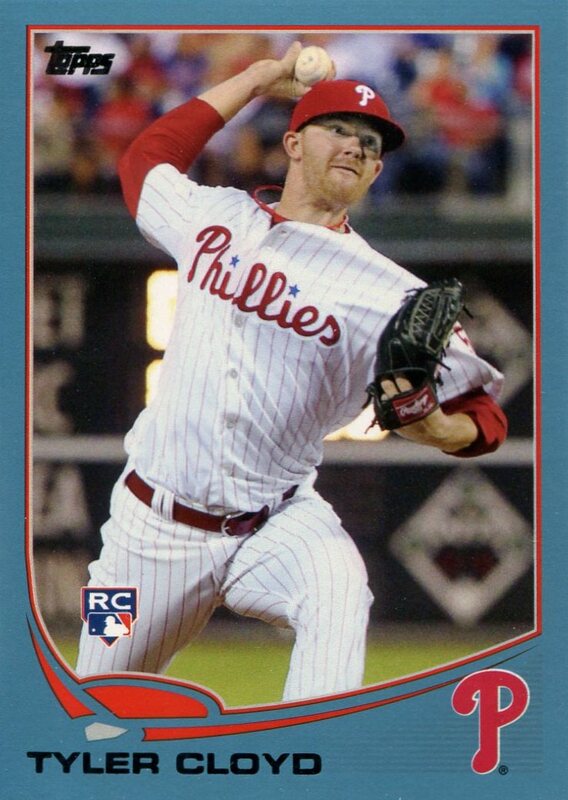 Click here for complete list of all Phillies cards, including parallels and inserts, from 2014 Topps Series One. 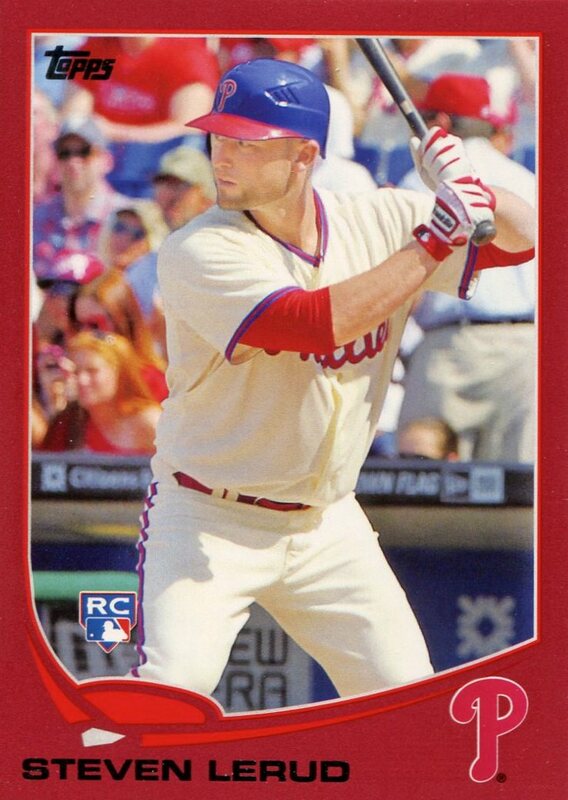 A newly updated version of the Phillies Baseball Card Database is going online this weekend. 65,860. 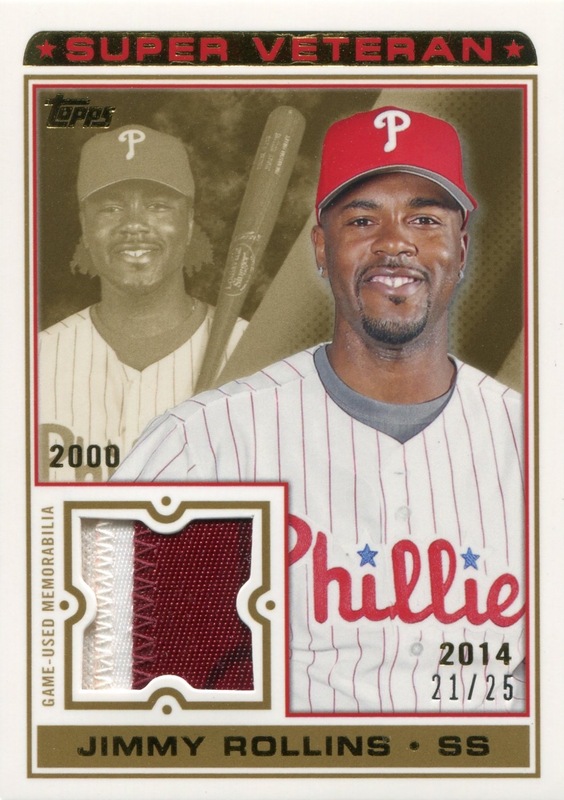 That’s approximately how many entries are in the version of the Phillies Baseball Card Database I posted last night. I am fairly certain it’s the largest Excel file I’ve ever worked with (my job requires me to work with large Excel files on a regular basis), but how many truly unique Phillies items are there really? The worst part is that there are still a few additional parallels missing from this collage. 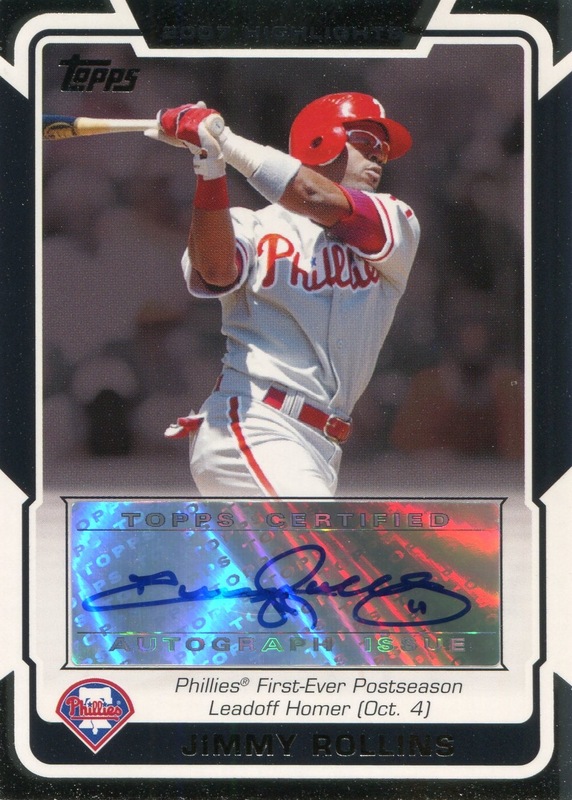 For the 20 Phillies cards (not counting the gimmick variations) in the 2013 Topps set, there are 340 parallels and printing plates — and each of those cards and plates has its own entry in the database. I first attempted to assemble a comprehensive, unabridged list of Phillies cards back during my teen years in the mid-to-late ’80s. I still have an original printout somewhere in a box of mementos — I’ll have to see if I can find it and post a scan of one of the pages in a future post — and if I recall correctly, I was able to print out the entire list in roughly 30 pages, at two columns a page, in a nicely-sized, easily legible font. After playing around with the newest version of the database, I determined that I could probably port a legible printout in roughly 260 pages — but that really is a best guess. This is the primary reason why this project has taken so long. I’m convinced that without parallels and printing plates I’d likely be done this project by now. As it is, 2015 seems like a reasonable estimate as to when I’ll finally have it at the point where I’m only updating for new releases. In the meantime, every time I see Topps announce yet another new parallel, I will be muttering curses under my breath. If you’ve been following this blog long enough, you know I have a habit of alternating between posting regularly and then disappearing for a few months. It’s never an intentional thing — it stems mostly from the fact that I have a large number of interests and projects and not enough spare time to cultivate all them equally. So, I tend to experience bursts of paying undue attention to one particular interest or project to the detriment of most of the others. The last few months was just one of those periods. There is a payoff at least — I’ve been fervently pounding away at the database project. I’ll say more about it in a post later this weekend (as well as post the newly revised Excel file), but for the moment I’ll just state that it now contains 65,500 entries, which is double what the last posted version of the file contained. 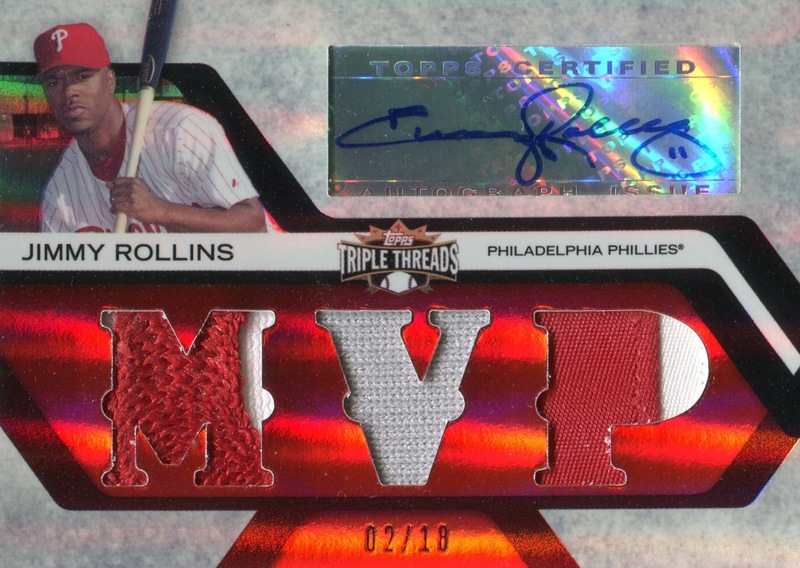 Until then, the 2013 Topps Triple Threads card above is the most recent addition to the collection, which is now at 19,400 items. When it arrived, I was suddenly struck by how jaded I am as a collector now. 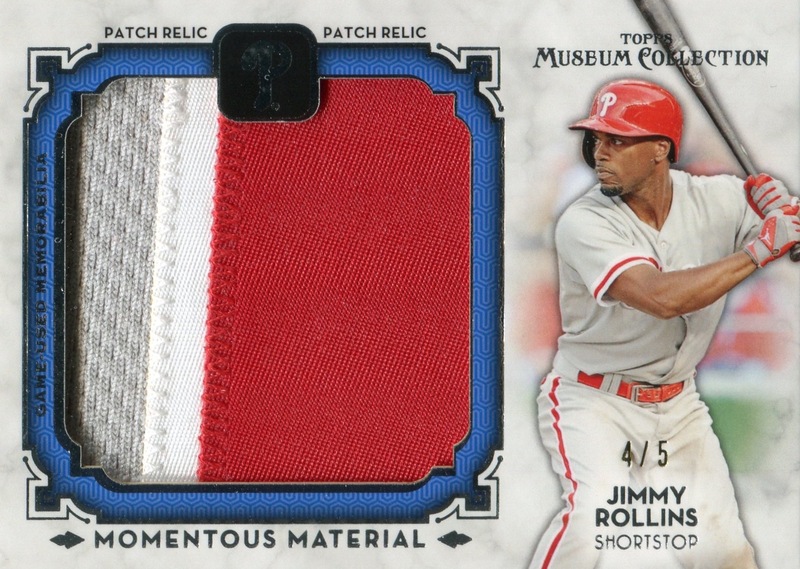 It wasn’t that long ago that I would’ve thought that a card bearing uniform swatches from three different Phillies MVP winners would be been a highlight to my collection. While I certainly like the card and am pleased to own it, I wasn’t excited about its arrival, and I really can’t say that it’s one of my favorite pieces in the collection. I would certainly feel differently about a a triple autograph card of the three, but no such card exists.